Arizona Wildcats and the Wichita State Shockers will do battle in the first round of the NCAA Tournament. The no. 6 Arizona Wildcats, out of the PAC-12 will take on the no. 11 Wichita Shockers, from the Missouri Valley Conference, in the first round of the 2016 NCAA Tournament in Providence, Rhode Island. Sean Miller's squad ended the season with a respectable record of 25-8 with six of those losses coming in conference play. Meanwhile, the Shockers had a bit of a down year. They did not win their conference and had to endure a nail-biting play-in game in which they defeated Vanderbilt by 20 points, winning 70-50. Neither school won their conference tournament this season. Luckily for Arizona, their record was still good enough that they knew they were a lock into the tournament. The Wildcats best win of the season came early. They took a trip to the Pacific Northwest to take on Gonzaga in a hostile environment. But yet, Arizona came out the victors in a tight back-and-forth game. ​It was conference play that stopped Arizona from getting a higher seed. The Tucson school struggled mightily on the road, loosing a couple of games that they could have won. They also could have won their semi-final game in the conference tournament had Mark Tollefson made both of his free throws. Wichita State, on the other hand, have not had the best of seasons by their standards. While they still won their regular season title, losing just two conference games, the Shockers lost a few too many non-conference games. Ron Bakers and Fred VanVleet are the two staples of the Wichita State. They have both been at their school for four years now and are the leaders of the team. They are also the top two scorers on the Shockers. Baker is the leading point getter as he averages 14.2 points per game while playing 31.4 minutes. VanVleet likes to get his teammates involved and is the quarterback in the half court. He averages a little more than 5 assists which is by far the most on the team. But VanVleet can also score. In 28.7 minutes, he gets around 12 points every time he is on the court. Kaleb Tarczewski is the heart and soul of the Wildcat team. He is the only four year starter on the team and can punish any opposing team underneath the rim. The Senior contributes both offensively and defensively, scoring 9.4 points per game while bringing down 9.3 rebounds. If Arizona is going to win, he is going to have to be at the top of his game. This is not a normal 6 vs. 11 matchup. Both schools play quality basketball and can score in a variety of ways. This game though will come down to guard play. 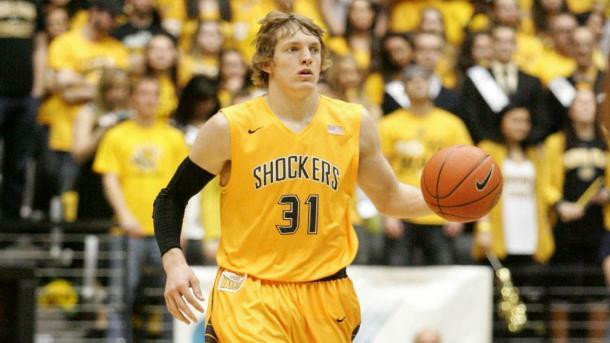 Ron Baker and Fred VanVleet are both Senior guards who have been around the block. They are consistent and know how to run the offense. But if they get shut down, who is going to step up? That's a big question. Arizona's guards, on the other hand are relatively inexperienced. Gabe York is the only Senior guard and is a very streak shooter. Parker Jackson-Cartwright is calling the shots for the first time and Allonzo Trier is a Freshman who has never experienced pressure like this. In the end, Arizona's quality throughout the entire roster is what separate's the two sides and will ultimately be the difference in an otherwise tight game.